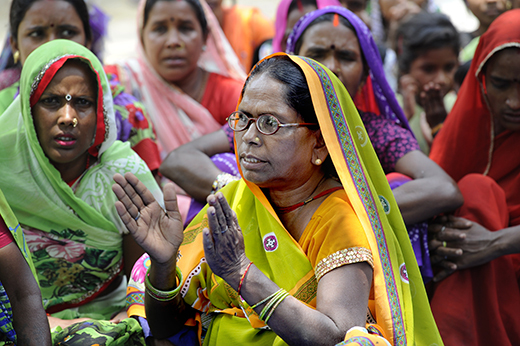 On the front line of human trafficking: this is Chandidhan, Uttar Pradesh, India, and right on the border with Nepal. 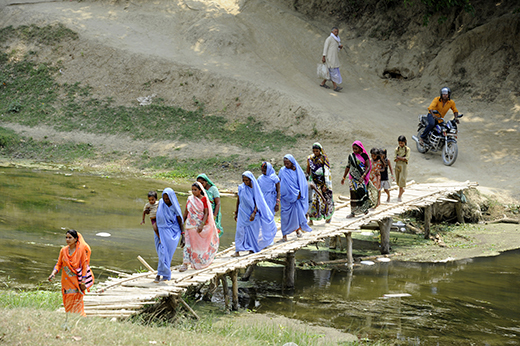 Above: the ladies in saris are standing on a rickety dry season bridge which is also used by the traffickers. Nepal is on the other side of this river – we are looking at it from India. Recent work with the Sciaf charity, who are helping the authorities and local communities prevent this nasty trade in human suffering. 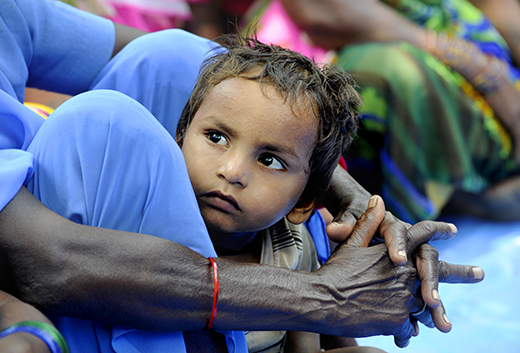 The villagers of Chandidhan witness many trafficked youngsters pass over this bridge on their way from and to Nepal – young girls moving to work as bonded labour housemaids in the mansions of Delhi. And young lads taken from Uttar Pradesh to work in the brick and metal products factories of southern Nepal. Some of these pictures have appeared this week in the press – the Daily Record, The Herald, The National and Daily Express.